There isn’t such thing as having too many watches. I tell myself that all the time so I can justify my huge collection. It has been a while since I bought my last watch, so I decided to do a little research and find a watch I still don’t have. I must admit it wasn’t as easy as I thought but during my search I’ve realized that I don’t own any Rotary watch. 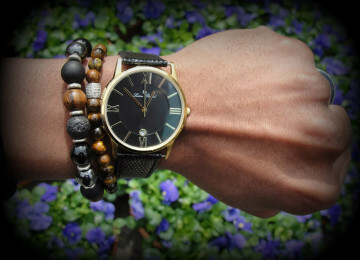 For those of you who have never heard of this brand, I can tell you that you have missed a great deal of amazing watches. 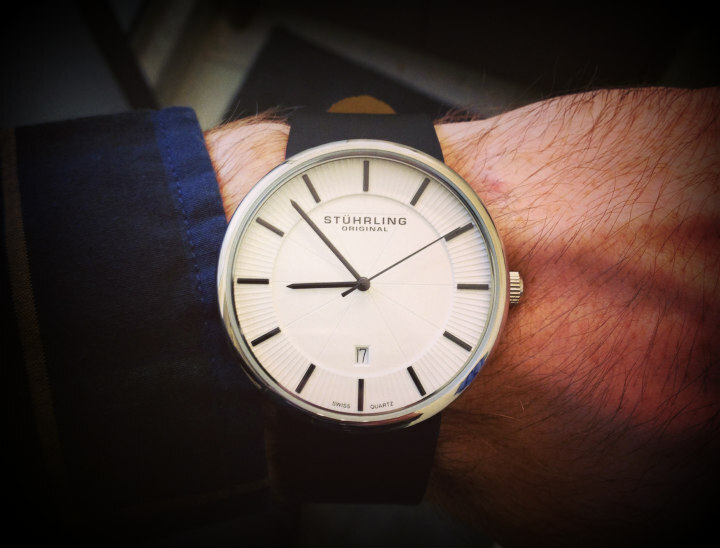 The company was founded in 1895 and over the years it has evolved into a brand that specializes in creating affordable watches with unique design that blend the old-fashioned with the modern into a line of stylish watches. 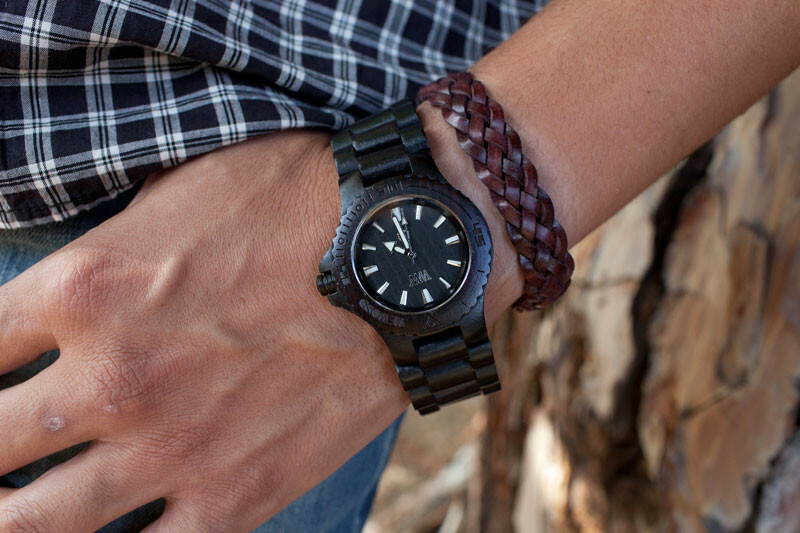 To educate you on this brand and their offer I have made this Rotary watch review that contains three of my favorite watches of this brand. Let’s take a closer look into their specifications. 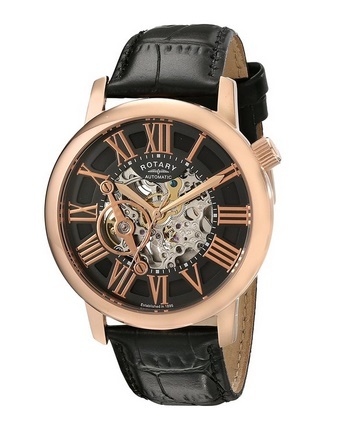 Rotary GS90513-10 Mens Les Originales Jura has instantly caught my eye. 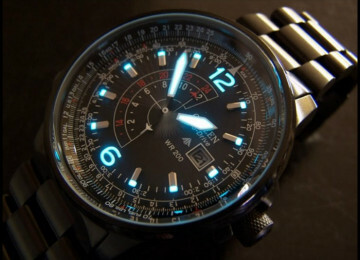 The design of this watch is so incredible that I can’t understand how I could have lived without this watch. There is something mysterious about it that makes it so appealing and desirable. The case of the watch is made of stainless steel with a diameter of 42 millimeters and thickness of 13. 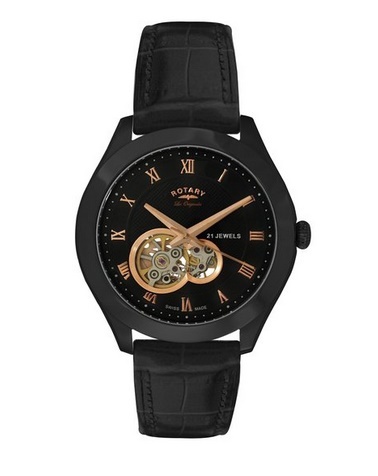 The black color dominates the entire watch with only a few rose-gold details that decorate the dial. These details are in fact the markings on the dial and the three hands that indicate the time. 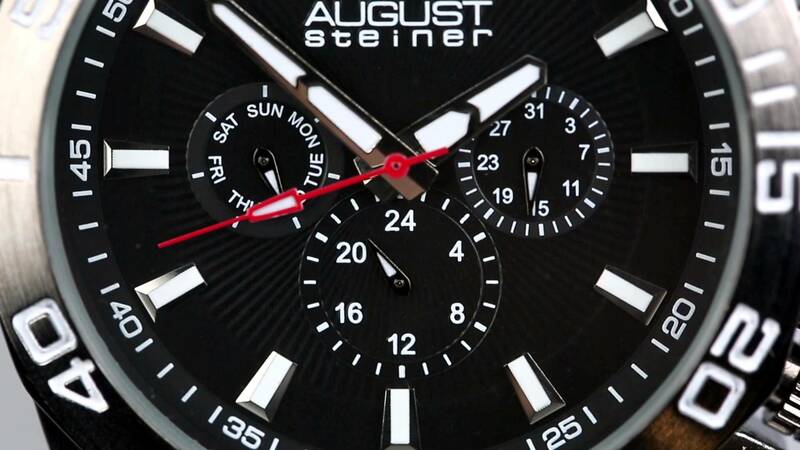 As an additional designer’s move they have added two skeleton openings that enable you to see the inside of the watch. 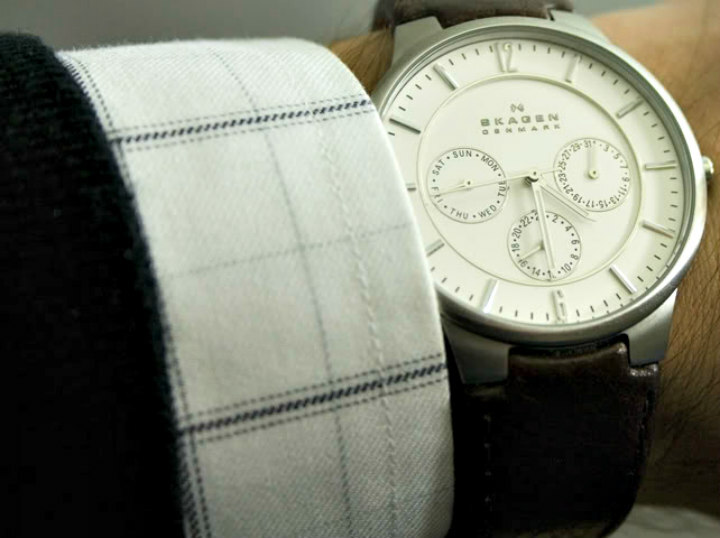 The dial is covered by protective mineral to ensure the watch is safe from scratches. 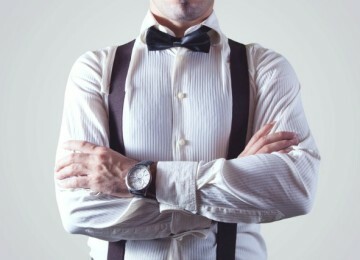 The band comes in the standard men’s length with a width of 20 millimeters. It is made of genuine pig skin leather in matching black color. 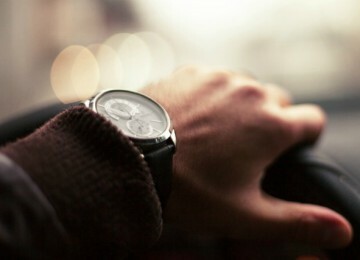 The watch has no additional features and it is water resistant up to 30 meters. 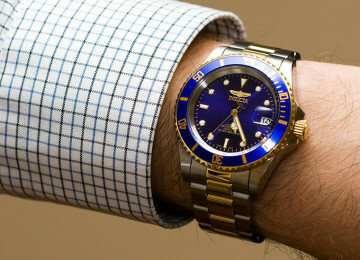 Once you see it I am sure you would agree that it deserves to be part of this rotary watch review. 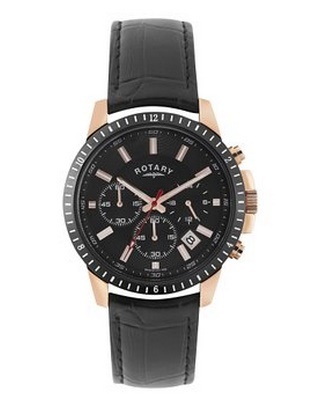 My second choice comes down to Rotary Men’s gle000017/10 watch. Remember those skeleton details from the previous watch? Well here Rotary made a step further and designed almost the entire dial in that style. Instead of putting only two circle-like forms with skeleton design they have taken over the entire central part of the dial, which I think it’s pretty cool. The dial is black so the rose-gold markings and other details add a special touch to the entire watch. I would like to mention that the case, as one would expect is made of stainless steel with a diameter of 44 millimeters and thickness of 12.3. The dial window is made of mineral, a combination that can resist unusual hardness. At the end of the Rotary watch review for the Men’s gle000017/10 watch I have to add that the band is made of black crocodile leather with rose-gold interior, standard men’s length and width of 17 millimeters. 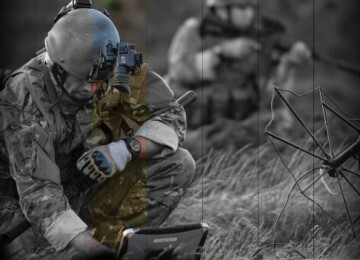 The watch is water resistant up to 50 meters so be careful where you use it. My third and final choice is the Rotary Men’s Chronograph watch, elegant accessory that brings out the authentic idea of blending the old with the new that Rotary had. With a diameter of 40 millimeters and thickness of 13, this round stainless steel case shows you what a real gentleman should have on his wrist. The dial is black but it doesn’t stand out as much due to the rose-gold/white markings and the three sub-dials that decorate the watch. These three sub-dials represent the chronograph features of the watch and the date display between the four and five o’clock markings makes sure you have all information you need. For the dial window Rotary used the well-known mineral that offers excellent protection against scratches. 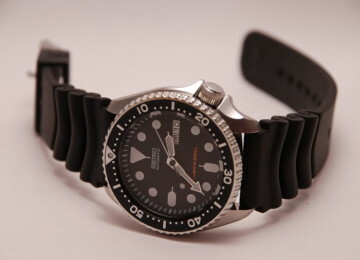 The black band is made of pig skin leather, a standard men’s size with a width of 38 millimeters. 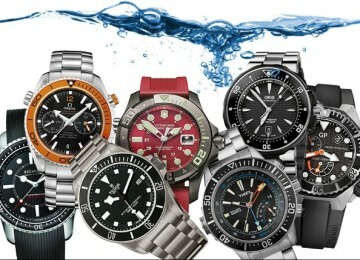 This watch is water resistant for only up to 30 meters so don’t expose it to too much water. 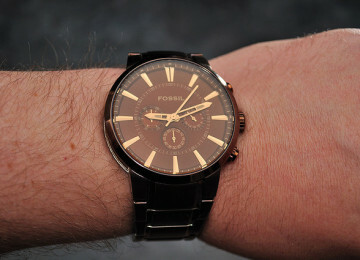 Now when my Rotary watch reviews are finished I think I would pamper myself with a new watch. It’s not like I didn’t deserve it, right? 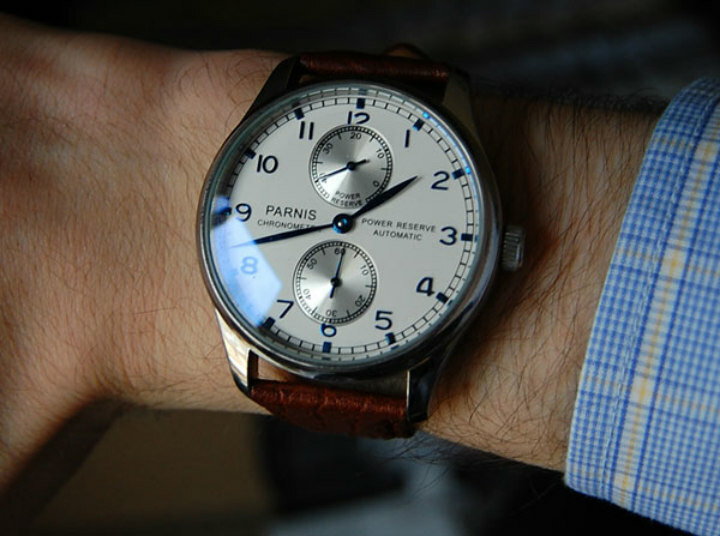 For more reviews visit Parnis watch reviews of 2015.